Nada Prouty is used to overcoming challenges. She grew up in war-torn Lebanon, survived an abusive father, and emigrated alone to the U. S. as a teen. She forged her own path here, eventually serving almost a decade in the FBI and CIA. Prouty worked on the most high-profile cases in recent history, including the USS Cole bombing and the hunt for Saddam Hussein. But at the height of anti-Arab fervor after nine-eleven, federal investigators accused her of passing intelligence to Hezbollah. Now the former secret agent is on a new mission. Nada Prouty talks with Diane about the fight to regain her US citizenship and her reputation. Nada Prouty Former undercover agent for the FBI and CIA. MS. DIANE REHMThanks for joining us. I'm Diane Rehm. Nada Prouty has been dubbed both an Arab-American hero and Jihad Jane. After serving honorably in the FBI and CIA for nearly a decade, the undercover agent was charged with passing intelligence to Hezbollah. MS. DIANE REHMNow, in a new book, she describes fighting her dismissal from the CIA and the pain of losing her citizenship. Nada Prouty joins me in the studio to talk about her ordeal and her journey to redemption. Her book is titled "Uncompromised." Do join us, 800-433-8850. Send us your email to drshow@wamu.org Feel free to join us on Facebook or Twitter. Nada, it's good to have you here. MS. NADA PROUTYThank you so much for having me. REHMTalk about how you first became a CIA agent. PROUTYWell, in the year 2003, I was working with the FBI, but given my skills, my cultural skills and my language skills, I decided that I would serve my country better on what I describe in the book as the prevention team. The type of cases that I was working with the FBI were investigating crimes after they had occurred and you'd show up to a crime scene and investigate crimes, interview witnesses, interview victims. PROUTYAnd I saw a pattern of just showing up after the fact and I thought with my skills and background, I could probably join the CIA and prevent such attacks from happening rather than showing up after the fact. REHMWere you actually recruited by the CIA or did you offer your services? PROUTYWell, the -- I worked on a terrorism squad with the bureau and it was an international terrorism squad that led me to work with a number of CIA offices overseas so I had been exposed to the CIA almost all my career with the bureau. And with the suggestions of some friends and with my interest to serve in a different way, I applied and was accepted with the CIA. REHMI want to take you back a little bit to how you first came to this country. PROUTYIn 1989, I was a student at the American University of Beirut, but it was bombed and the university was closed and my father had an arranged marriage planned for me and I decided that I did not want to follow in that path. And I applied at a university here in the States and was accepted. PROUTYIn Michigan, in Dearborn, Michigan, Detroit College and was accepted and I received a student visa and came to the States. REHMThere is some question about, you mentioned an arranged marriage but there is some question about your marriage once you got here. PROUTYYes, without knowing my options as a 19-year-old teenager, I made the mistake of ironically getting involved in an arranged marriage. At the time that I arrived in the States and with the financial burden of international student tuition, I was not able to afford paying for my college. I had several jobs, worked all hours, but I was not able to pay my financial tuition. My father did not support me financially. PROUTYAnd not knowing what my options were, I was ill-advised, if I'd marry a U.S. citizen, I would be eligible for financial aid and I made that mistake. A 19-year-old not knowing my other options and I was very much qualified for political asylum given the war in Lebanon. I just didn't know that that option was open for me. REHMIt's interesting because the area of Dearborn, Michigan has a great many Arab-American families. Were you living with any relatives? Did you have any support system at all? REHMHow did you get involved with this marriage? PROUTYIt was my roommate who was in a similar position and she was the same person who gave us the advice, told us if you'd marry a U.S. citizen, you would not have to pay international student fees. And so she had met this person and this person introduced me to his brother and that's how we got involved in this. REHMAnd how long did that marriage last? PROUTYUm, it lasted until I met someone that I had fallen in love with and I wanted to get married, my second marriage and that would be about four years. REHMSo you left that first marriage. You fell in love. What happened to the first husband? PROUTYI did not really have a lot of communication with him. We just met at an attorney's office and signed divorce papers and moved on. REHMAnd he was perfectly satisfied both to enter into the marriage and then to dissolve it? PROUTYYes, he was. As he put it, he would help me out in my situation and I would help him out. And I don't recall the details, but I believe that he needed some money and I would help him out, pay some tickets, traffic tickets. So it was a situation where I helped him and he helped me. REHMNada, as far as both the CIA and the FBI were concerned, your failure to disclose that first marriage is somehow involved in all the questions that were raised about you. Why did you not disclose that? PROUTYThat's something that's still is. I guess it's not public, but I had disclosed my marriage on the first page of the FBI application. I followed that disclosure with a phone call to the applicant coordinator and I asked her -- I wanted her to know that I wanted to discuss the marriage with her and I was told plain and simple, don't worry about it. So I never worried about it. PROUTYAnd the reason I never worried about it is I'm familiar with the process of hiring someone with -- for a security clearance. The FBI and the CIA are not looking for nuns, they're looking for regular people and regular people make mistakes. As an example, at the time of my hiring, you would still be accepted and you can still apply for the FBI if you had smoked marijuana for 15 times or less or if you had done illegal drugs, more serious illegal drugs three times or less. PROUTYSo technically, those kinds of crimes are felonies and misdemeanors so you could still be hired by the FBI if you disclosed that. It's an adjudication process where they look at the overall applicant's background. REHMOkay. Well, help me so that I understand how you understood this other person saying to you, don't worry about it. Did that mean take it off the application or just don't worry about it? REHMYou sent in the application as it was? REHMOn the first page talking about your first marriage? PROUTYWhere I disclosed the marriage, yes, absolutely. And when I was told not to worry about it, I didn't worry about it because I thought as part of the adjudication process, they're going to look at the mistake that I've made as a 19-year-old teenager and decide whether they wanted to hire me or not. 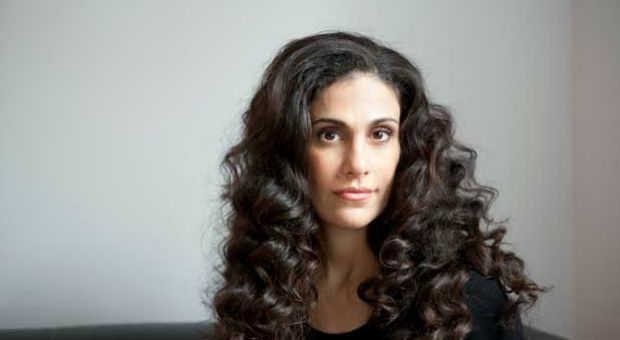 REHMNada Prouty, her book is titled "Uncompromised: The Rise, Fall, and Redemption of an Arab American Patriot in the CIA." Describe some of your missions for us. PROUTYWell, I was involved in a number of high-profile cases. Upon my arrival in the Washington field office, the FBI's Washington field office, within a few months I was sent to Atlanta, Georgia, to interview Hanni (sp?) Sayegh, who was indicted for the Khobar Towers bombing. And following that, I was involved in a 1998 kidnapping case of tourists in Yemen. And I was also involved in three renditions for the FBI, one of them is the Safarini rendition that I discuss in my book and two other renditions of subjects who had kidnapped a United States' citizen. PROUTYAnd I've also been involved in the USS Cole investigation and the 2003 bombing of the Riyadh compound and my last assigned case was the 2002 assassination of the USA diplomat, Laurence Foley. REHMNow, has this book been vetted by the FBI and the CIA? PROUTYYes. I had to go through a clearance process and I would like to thank my friend and attorney Mark Zaid who worked with me on the clearance process with the FBI and the CIA. REHMSo they had no problems with anything you've written or they had lots? PROUTYWell, again, it's a process. You submit your manuscript and they wanted me to remove items and it goes back and forth. REHMNada Prouty and the book is titled "Uncompromised." You can join us 800-433-8850. REHMAnd if you've just joined us, my guest is Nada Prouty. She was an employee of both the FBI and the CIA. She was a special agent with the FBI, covert operations officer for the CIA for close to a decade. She is currently seeking reinstatement of her U.S. citizenship. Tell me why that citizenship was taken away from you. PROUTYAs part of the plea deal I -- one of the crimes that I pled guilty to was the immigration crime. And as part of that, my citizenship was revoked. REHMYour immigration crime being fraudulent marriage. PROUTYCorrect. The -- to which the statute of limitation had long expired. But as I detail in my book, the steps that led me to making -- to taking a plea deal, I had pled guilty and that resulted in my revoking of the citizenship. REHMAnd what about the charges made by the FBI and the CIA? PROUTYThere were no charges made by the CIA. The FBI had made the charges -- the other charge of illegally accessing the FBI ACS system. But I also explained that in the book in details. I was never shown any documents. I was never given the opportunity to explain any of the documents. In fact, to today's date on the Justice Department's website, they state that I've never worked any Hezbollah cases. To the contrary, I've worked a number of headline-grabbing Hezbollah cases. PROUTYAnd the evidence was labeled secret. I wasn't allowed to see it and I was forced through a number of steps to plead guilty basically to something I did not do. And I'm talking about the computer access. REHMThat computer access meant that you had access to material data that could have compromised not only your position, but that of others who worked at the agency. PROUTYThe access that is referred to in the indictment document is an ACS document that I did not have the right to access. Of course that is not true and I wasn't shown the documents so I could explain why I accessed them. And although I wanted to mention that when I joined the FBI and because I wanted -- because the FBI wanted to grant me sensitive compartmented information or SCI access, they had conducted three internal investigations into my computer usage. And on all these three internal investigations I was cleared and thus given the SCI clearance access. PROUTYBut it was surprising to me that seven years later I was accused of looking at documents that I did not -- I shouldn't have looked at. REHMTell me how much of this had to do with your brother-in-law. REHMTell us about your brother-in-law. PROUTYMy brother-in-law is not someone -- my brother-in-law is -- and myself don't have a good relationship. But he was under investigation for tax evasion. And as part of that in the -- after the 9/11 Arab fervor, they were looking for statistics -- terrorism statistics and they were trying to tie him into trying to drum up a terrorism charge and change a tax evasion charge into more of a terrorism-related charge. PROUTYAnd upon that, they stated -- they stumbled upon the -- my fraudulent marriage that I had disclosed to them on my first page. REHMBut I wanna go back to your brother-in-law, Talal Chahin. He is or was -- is he still married to your sister? REHMTechnically. What does that mean? PROUTYThe women in that culture cannot apply -- cannot seek divorce, otherwise they would lose custody of the children. So although they do not live together, they are technically married. REHM...of your brother-in-law with a spiritual leader from Hezbollah. PROUTYYes. And this is the first time where I learned that the FBI were looking into the matter from a terrorism angle. My brother had disclosed to me that he was an informant for the FBI and he was reporting on my brother-in-law Talal Chahin information that the FBI is seeking. And at that time, he also disclosed to me that my brother-in-law was not reporting all his income tax and all his income for tax purposes for evading taxes. PROUTYAnd I wasn't sure whether to believe my brother or not. He's had a number of episodes with me where the truth was not really told. But I cautioned him not to disclose that he's an FBI informant to anyone else 'cause it could jeopardize the investigation. And after that incident the FBI had raided the restaurant's headquarters. And then my brother had contacted me to tell me that they raided the headquarters. And then following that is when the FBI came to talk to me about my brother-in-law. REHMAnd did they charge you with anything related to your brother-in-law's activities? REHMNot at all. It's such a complicated story, Nada. You might just tell us about the capture of the terrorist who killed Americans on Pan Am flight 73. PROUTYAbsolutely. I was assigned the case in early 2000. And we learned that the Pakistani government was going to set loose one of the four hijackers. And we did not believe that 17 years in a Pakistani jail was enough punishment for someone who had murdered U.S. citizens. And therefore we started working on interviewing witnesses and start building a case getting ready to apprehend the suspect and bring him to face the full weight of the U.S. justice system here in the states. PROUTYAnd, you know, working with multiple governments, multiple agencies we were able to do just that and bring some closure to the victims of Pan Am 73. REHMAnd where is that man now? PROUTYToday he is serving consecutive life sentences in a Colorado maximum security prison where he gets to see daylight one hour a day. PROUTYWhen you think about everything you've written, all the experiences you've had you were undercover in Iraq while you were pregnant. I mean, you've had some extraordinary experiences while you worked for both the FBI and the CIA. Do you feel as though you've been abandoned by the U.S. government? I mean, what's behind your thinking? PROUTYMy love for my country, the United States, is unconditional and I will not let anyone, any rogue prosecutor change the way I feel about my country. REHMDo you think there is a rogue prosecutor at the FBI? PROUTYWell, I think that the prosecution was politically and personally and racially motivated. REHMWhy? Why do you believe that? PROUTYWell, I say -- I explained some of it in the book, but when a prosecutor looks at you and states, don't you think all Shia in Dearborn, Michigan, are supporter of Hezbollah? I was so shocked to hear a statement coming from a representative of my government -- such a racist statement coming from the representative of the government. I don't use the race card, as some people refer to it, often. But that was flat out racism. PROUTYAnd, you know, when I mentioned the personal gain, prosecutors received award for this investigation. And that -- and they all received promotions and accolades. The United States Attorney was seeking a judicial appointment and he successfully was able to get that appointment. REHMNow, here is the Department of Justice's statement on Nada Prouty provided to CBS "60 Minutes" on March 19, 2010, when "60 Minutes" was getting ready to air its segment on you. It says, "The Justice Department makes no apologies for the prosecution of Nada Prouty, a Lebanese national. Prouty fraudulently obtained U.S. citizenship while living in this country illegally. She did so with the help of others engaged in a conspiracy to defraud the U.S., including her brother-in-law, who is now an international fugitive. Prouty then used her phony citizenship to obtain employment with two agencies in the U.S. intelligence community, the FBI and the CIA." REHMFirst of all, is your brother-in-law now a fugitive? PROUTYHe sure is. He is a fugitive that resides in Lebanon. And that's another issue that I mention in the book. My brother-in-law was allowed to travel in and out of the United States throughout this investigation. And having been an investigator myself, I am shocked at how the government allowed him to travel when he's under investigation to a country where the United States does not have an extradition treaty with. PROUTYBut I had come to the conclusion that getting the statistics, getting a conviction and moving on where you really don't have to present any true evidence in a court of justice was the way that the prosecutors in Detroit were handling this case. REHMThe second paragraph of this states, "Although she had many opportunities to inform the FBI and CIA about her past illegal activities, Prouty failed to do so. It was ultimately the U.S. government that uncovered her fraud." Do you have a copy of the application you filled out with your marriage stated up front? PROUTYI certainly do, Diane, and I would love to send you a copy for your own website. And that statement shocked me. It's factually inaccurate. After putting the -- disclosing the marriage on the first page of my FBI application and following it up with a phone call, a phone call that my former spouse recalls me making and in which he also disclosed to the judge and recalls that phone call and writes about it in a letter to the judge. That statement is simply factually inaccurate. REHMDid you also disclose that information to the CIA when you applied for work there? PROUTYThe CIA had relied on the FBI's investigation and had done an investigation of the past five years. So it did not cover that period. REHMSo you went from the FBI to the CIA on the same credentials presumably that you had filled out for the FBI. You did not have to inform the CIA of that first marriage? PROUTYWell, I did list it on my CIA application also. And -- but in order for them to go back and investigate it, they just relied on the FBI's investigation. REHMNada Prouty and her new book is titled "Uncompromised." And you're listening to "The Diane Rehm Show." We're going to open the phones now, 800-433--8850. First to Boston, Mass. Good morning, Howard. HOWARDGood morning, Diane, and good morning to your guest. First of all, I have to applaud her on her courage and I have to -- I'm somewhat feeling embarrassed about both the CIA and the FBI. For your guest's information, the FBI doesn't hold a great reputation in the Boston area, if you follow the Whitey Bulger thing. HOWARDAs far as the CIA, I'm concerned that it's literally not in touch with reality. And instead of trying to do what's best for the country, best for the people, best for operatives like yourself, everyone's trying to cover themselves to seek promotion. Not for the better of all, but for the better of themselves. I wanna listen to your guest's comments because I've talked to certain friends in places in Washington and they're upset. And the CIA today is being used as a stepping stone for a career path. REHMAll right, sir. Thanks for your call. Nada. PROUTYHoward, thank you so much for your call. I do want to state something, that although you are right, there are some instances where the FBI has done what you had just stated, I want to tell you that I have worked next to both, FBI agents and CIA officers who are -- I'm honored to have worked next to them, who've done a great job for the country, who put the country and the benefit of our country ahead of promotions, ahead of monetary gains and ahead of just getting ahead in their job. PROUTYAnd I -- these are -- you know, the way I look at it, Howard is these are some bad apples and they do not reflect the entire organizations, both the FBI and the CIA. REHMTell me what the particular issue now is with your citizenship. PROUTYDiane, I learned in December that the director of the CIA, the Attorney General and the Secretary for Homeland Security have signed a memo to grant me U.S. person status. And today, I am proud to say that I am a permanent resident alien of the United States, my country. And I am currently seeking my U.S. citizenship. REHM...what stands in the way? PROUTYWell, as you know, it's a government process and you just have to go through the process and the applications and everything that is involved in it. REHMDo you believe that the FBI could stand in your way? PROUTYYes, I do believe that. And I have the truth on my side and I just have to stand up and speak the truth. REHMAll right. Short break. When we come back, more of your calls, questions. Stay with us. REHMAnd if you've just joined us a 10-year employee of the FBI and the CIA is with me, one who has since been prosecuted by the FBI and having been charged with making fraudulent statements about her U.S. citizenship, Nada Prouty. Her new book is titled, "Uncompromised: The Rise, Fall and Redemption of an Arab American Patriot in the CIA". REHMHere's an email from Eric who says, "America, without the right to see the evidence against you, is no longer America. Secrecy and terrorism are not in the Constitution. Right to a fair trial is. The terrorists have already won." Do you agree with that? PROUTYI absolutely do, Diane. The evidence against me was labeled secret and I was not allowed to see it. REHMAnd this is in the offices of the FBI? PROUTYAnd I was not allowed to see it, which is ironic. Why would someone plead guilty to something they can't see? The whole thing is kind of confusing. But at any rate I, having been born and raised in Lebanon and having worked with a number of organizations overseas, government organizations, I’m very much familiar with the third-world country, with secret evidence and with forcing people to pleading guilty to something that they didn't do. PROUTYAnd unfortunately, in my case, it happened here, right in the United States. But again, I do have to stress that this is not the value of America that I fell in love with. These are not the values of freedom. These are not the values of justice. And I completely agree with the person who sent that email. Everybody has the right to a fair trial. Bullying someone into pleading guilty to something they didn't do just does not reflect on us as Americans. REHMSo you did plead guilty? PROUTYYes. I absolutely did, you know, with the fraudulent marriage. Although I had disclosed it, although I had told them about it, they, with enough pressure on myself, my family and my friends, I plead -- I had to waive the statute of limitation to a 20-year-old immigration charge and plead guilty to the fraudulent marriage. REHMWhat about the accusations that you saw documents you should not have seen? PROUTYThis is where the secret evidence story came through. I was not shown the documents. I was not given the opportunity to explain why I viewed these documents. I mean the FBI system is known for its malfunctions. REHMSee if you can recount for us how that conversation with the FBI went. PROUTYI went with my attorneys to Detroit to meet with the FBI. I was very confident that I would be able to explain any documents that they showed me. I'm confident that I've never viewed any document for any bad reasons. And when I sit across the table, the FBI agents started discussing some documents that he was holding close to his chest. And I was able to explain a few of the documents. But once I was able to explain these documents, he did not give me sufficient information on other documents. For example, I was asked to recall a document by just the date of the document. I mean, this was not a test of recollection. I have a good memory, but I don't have photographic memory. REHMWhy would you have been accused of seeing documents you weren't supposed to see? PROUTYWell, someone was going down. And you know someone who had worked for the FBI and the CIA would bring a lot of publicity for a U.S. attorney who was seeking a judicial appointment. So between that and an assistant United States attorney, who I believe is racist, that was the perfect combination to have someone like me and put the pressure on someone like me to plead guilty to something I didn't do. REHMAnd they said you are going down? PROUTYYes. Somebody was going down for this. And after investing a lot of financial resources or a lot of workforce resources someone was going to pay for all the money that was spent on this investigation. REHMWhat about your brother-in-law? You know it becomes very, very confusing when you talk about the fact that your brother-in-law has gone back to Lebanon where he is considered a fugitive from the law. What kind of relationship were they accusing you of having with him that put you under suspicion? PROUTYThe fantasies that they had was that I had viewed these documents and had passed information to the terrorist group Hezbollah through my brother-in-law. There was absolutely no evidence of that at all. REHMBut those were the documents that the FBI raised? PROUTYThe documents pertained to -- I don't know what is in the documents 'cause I never saw the documents. But they told me those documents pertained to investigations relating to the terrorist group Hezbollah. Other than that, to today's date I have no information or I have no knowledge of what is in these documents, what information. REHMAll right. Let's go to Chicago. Good morning, Bill. Bill, are you there? Let's go now to Louisville, Ky. and to Fiza. Good morning. REHMYes. Go right ahead, sir. FIZAMs. Diane, my question to Nada is in the most (sounds like) Arabic world it's very important to listen to your father. Part of for the trouble she been having, she ever regret not listen to her father? REHMDo you regret not listening to your father and going through with the arranged marriage that he proposed? PROUTYAbsolutely not. Had I listened to my father and went through the arranged marriage that he had planned for me, I would have had to erase myself. I would have had to succumb and live as a second-class citizen and have the title of the wife of someone. And not listening to him had given me this opportunity to fall in love with a country as great as our country, the United States and given me the opportunity to give back to the country that took me in, give back through my service, both at the FBI and the CIA. REHMTo Fort Worth, Texas. Good morning, Jason. JASONThanks. It's a very interesting story. Sometimes prosecutors overreach and our great country provides checks and balances of a jury trial and a judicial system. And if the evidence was secret it doesn't sound to me like a jury that's protected by our Constitution could find you guilty. And do you realize that when you plead guilty to something a judge asks you if you're pleading because it's true and you say, yes I do, that you're not putting faith in our system and going through our system? PROUTYThat? You agree with him that what? PROUTYThat I did not put full faith in the judicial system at the time. REHMIn other words, you should not have plead guilty? REHMYou should have asked for a jury trial? PROUTYRight. But a detail in the book -- and I'm not sure whether Jason had got a chance to read all that. And I explain the circumstances that led to me pleading guilty. A two-year investigation that drained all my finances. And as you know government workers are not rich people. And a prosecutor going after my sister and going after my friend and finally -- and I don't wanna give all the information out in the book, but I'll tell you this, they had threatened me with deporting me to Lebanon and announcing that I had worked for both the FBI and the CIA. PROUTYWith that threat, that's basically a death threat. If you go back to Lebanon I am going to be caught, I'm going to be interrogated and probably killed. And I had to make a decision. It was a very hard decision. And I had put my family through -- my little child through two years of stress. And I made that decision. Yes. There's that element, Jason, of not putting full faith in the judicial system. REHMJason, does that answer it? JASONYeah. Good luck and I'm glad you get to stay. REHMThanks for calling. And let's go to Rob, who's in the Virgin Islands. Good morning to you. ROBHi, good morning. Yeah, I had a question for your guest. I'm an immigration attorney and I heard her describe her marriage that allowed her to get her paperwork as an arranged marriage. And I think there's an important distinction between an arranged marriage and a fake marriage. A fake marriage is where you pay someone and they help you with your paperwork, but you don't live together as man and wife. Whereas, an arranged marriage you, live together as man and wife. And I wondered what she was involved in with the person who helped her get her paperwork. PROUTYIt was, based on your distinction, it would be considered a fake marriage. We were -- we did not live together. REHMYou never lived together from the time you were married? REHMAnd the man you chose was willing to live in that way? PROUTYCorrect. It was, as he put it to me, again, is I'm doing him a favor and he's doing me a favor. REHMAnd what kind of favor did you do for him? REHMWhere did you get the money? PROUTYWell, with the lowering of my tuition and still working the same hours, I was able to save some monies to give him. And it was really tight. I wasn't doling out thousands of dollars here. We're talking about hundreds of dollars, as I was a waitress. And that's how I was able to pay him. REHMNada Prouty and her new book is titled, "Uncompromised: The Rise, Fall and Redemption of an Arab American Patriot in the CIA." And you're listening to "The Diane Rehm Show." REHMSo what happens now, Nada? PROUTYWell, this to me has come into a full circle. Although your caller had stated that I did not put my full faith in the justice system, I had to make a decision at the time. And with the hope, I just had that hope that one day I will be able to tell my story. And I certainly couldn't tell it if I was dead in Lebanon. And I am here today telling my story and telling and putting the truth out there for my fellow Americans because when I called my fellow Americans after the "60 Minutes" aired, they responded. They are the reason that I am where I am today. And I am forever appreciative of our system. PROUTYThere may have not been justice in the beginning, but justice does prevail in the end. REHMDo you expect that before long you will be a U.S. citizen? REHMAnd you're not concerned that other bureaucratic systems will get in your way? PROUTYYes. I certainly am concerned, but I started this fight and I'm not gonna stop the fight until I regain my citizenship. REHMDo you think that the FBI will continue to fight you? PROUTYI do. I do believe that. PROUTYYes. I have had indications. And I do believe that. And, Diane, I've made a mistake as a 19-year-old teenager. And as a judge put it, it was an error in judgment. And now I've fessed up to the mistake and I stood up and I said I've made a mistake. I was engaged in a fraudulent marriage. I would so much like for the prosecutors and the Justice department to stand up and say we've made a mistake. PROUTYThe continued persecution of someone who had dedicated her life in the service of her country, for someone who had put her life on the line, for someone who's been shot at, for someone who has been on the front lines pregnant and collecting intelligence to prevent attacks against our soldiers, it just doesn't make sense. And I would have much more respect for them to stand up and say we've made a mistake. Given my Catholic faith, I have forgiven them. I don't hold any grudges. I wish that they would learn to open their hearts and accept other people from other countries. And not base prosecutions on personal gain or on racism just because I look differently. I love the country just as much as they do. REHMYou have said that one of them accused you of being a Muslim. PROUTYYes. Unfortunately, I don't believe they knew the difference. I don't believe that they knew that in Lebanon we have multi religions. There are Muslims, there are Christians, there are Druze and I think they've just accumulated all of them, all Lebanese as being Muslim. And for some reason, I believe they thought that being a Muslim was a crime. REHMDo you really think they believe that? PROUTYWell, again, someone would not have stated such a racist statement if they didn't have that belief. The duty of a person who works for the government is to do what's in the best interest for the U.S. government and for the citizens. And that was not the motive behind this investigation. REHMNada Prouty, her new book is titled, "Uncompromised: The Rise, Fall and Redemption of an Arab American Patriot in the CIA." Good luck to you.